There’s been a changing of the guard for the organization charged with guiding downtown Leesburg’s renaissance. 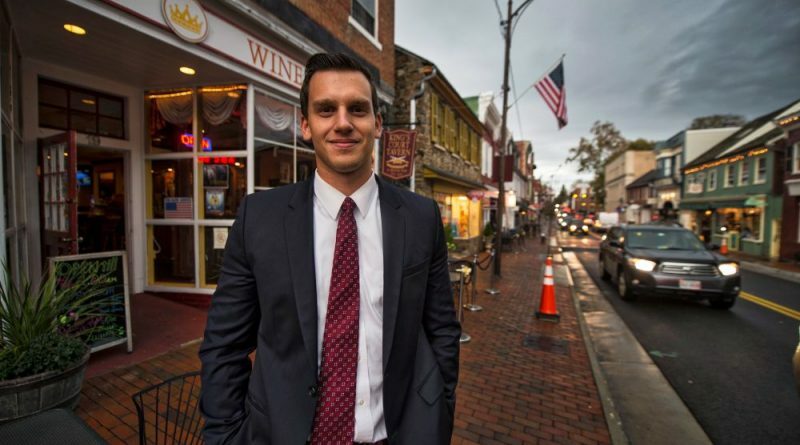 The Historic Downtown Leesburg Association recently welcomed in its new executive committee, and the name at the top of the organization comes with a familiar surname. Darius Saiedi has taken the reins of HDLA presidency from Gwen Pangle, who served for four years in the post. Saiedi is still a frequent face at his father Fabian’s three King Street restaurants and grew up helping his dad. He’s done just about everything at the family restaurants, from cooking and cleaning to more “macro level” items like strategizing for future business growth. “Trying to make his life a little bit easier,” he said. A Leesburg native and 2010 graduate of Loudoun County High School, Saiedi earned his degree in finance from George Mason University and is pursuing a master’s degree in real estate development there. In addition to helping in the restaurants empire, he is an assistant vice president at Bank of Clarke County’s One Loudoun location. Despite his busy schedule, the millennial feels it’s a natural next step to take up a leadership post with the association. Aiding him in this journey are two fellow millennials on the board, Melanie Parr from Coldwell Banker and Brooke Nelson from Black Hoof Brewing. Vice President Sola Pallotta from Very Virginia and Chris Padden from Sonabank round out the board. Of his 20-something cohorts on the board, Saiedi said he believes the inclusion of more millennials at a leadership level is a good step. But Saiedi is quick to credit the work of outgoing president Pangle and other HDLA members who have built the organization to what it is today. “Continuing with the progress [Gwen] made is one of my priorities,” he said. Another focus is on unity, “continuing to bring businesses together—to work together, to continue the benefits to the town in ways that help everyone,” he said. Reflecting on her four-year run as president, and over a decade spent on the executive committee, Pangle said she was proud to hand the torch to Saiedi. She cites the opening of the organization to include other downtown interests, including residents and even businesses falling outside the historic district’s boundaries; the start of Family Fun Saturdays; and the significant growth and popularity of First Friday as key accomplishments. And, of course, downtown’s current boom cannot be forgotten.